My name is Colin Brust and I just graduated from the University of Montana with a degree in Resource Conservation. For the past two years, I have worked as an intern at the Montana Climate Office using geographic information systems to create and analyze climate data. My latest project, which was funded by the Montana Space Grant Consortium, is focused on comparing gridded climate datasets within Montana. Many scientists and land managers rely on these datasets to inform their scientific models or their decision making processes. Ultimately, we hope to produce a product that tells these stakeholders which gridded datasets are most accurate for their desired application. 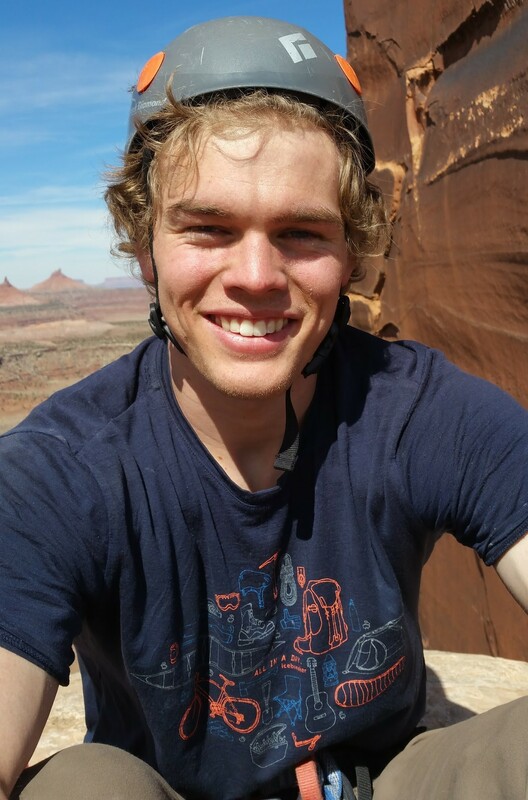 When I’m not staring at code or thinking about gridded climate data, I spend as much time as possible rock climbing and mountain biking around Missoula. My name is Cody Norberg. I am a Junior majoring in Physics & Astronomy at the University of Montana in Missoula. I am also minoring in Biology. My hometown is Kalispell, MT. I enjoy fishing, hiking, and exploring Montana’s great outdoors. 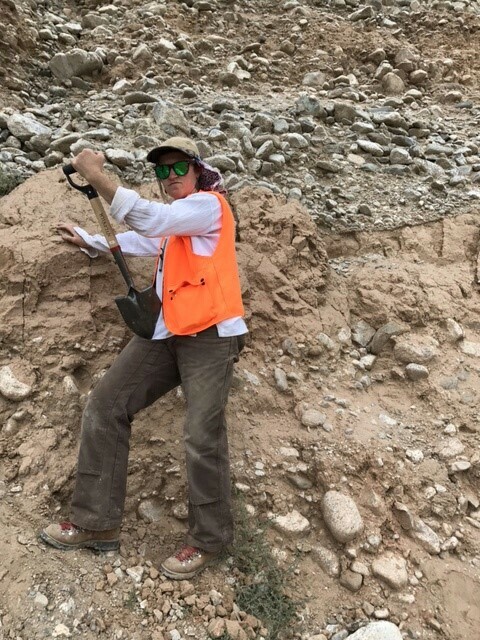 I became involved in undergraduate research in August 2017 for Dr. Hilary Martens of the Geosciences Department. My research involves modeling surface mass loading and deformation of the Earth. My goal is to continue doing research until I graduate, with plans of attending graduate school to study either Geophysics or Astrophysics. My name is Jaxen Godfrey and I am a junior physics and applied mathematics major here at MSU. Last summer I was a part of the BOREALIS internship in Missoula, which headed the Montana radiosonde team for the nation-wide Radiosonde Project during the 2017 Total Solar Eclipse. Over the summer, I worked to create code to calculate the proper PSI fill for balloons given certain parameters such as altitude, temperature, and pressure. After the eclipse I used the datasets we gathered to analyze the effect of totality on planetary boundary layer height. I am currently working on a research project with Professors Nico Yunes and Anne Lofink of the physics department as an MSGC apprentice. The goal of my current project is to characterize the systematic errors involved when assuming an astrophysical model during tests of general relativity. In my free time, I enjoy doing art, photography, hiking, and reading. 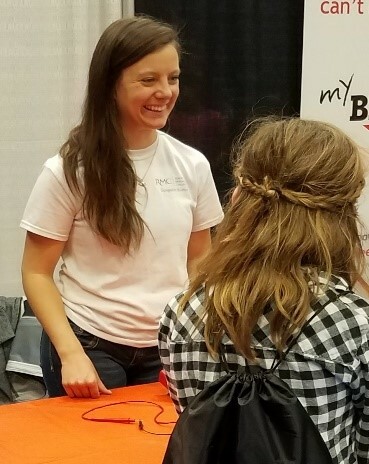 My name is Ayla Grandpre and I am a current senior at Rocky Mountain College double majoring in Computer Science and Chemistry with minors in Physics and Mathematics. 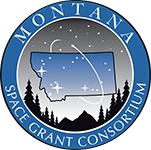 During my time at Rocky I have had the privilege to work with the Montana Space Grant Consortium on several different occasions. 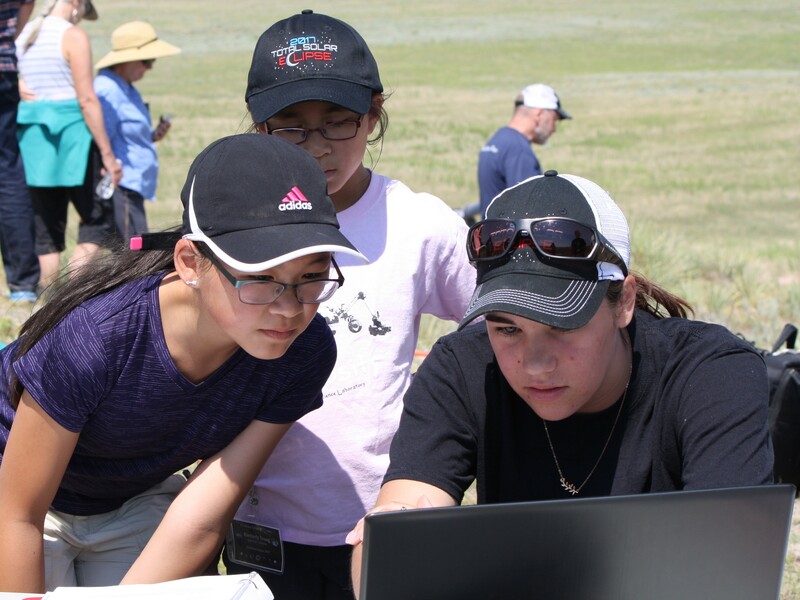 An internship with the Space Science Engineering Laboratory in Bozeman (2016) helping to construct the battery pack, a MSGC scholarship, attending the MSGC Student Research Symposium, and exciting the future generation in Montana about space and NASA through the Space Public Outreach Team in the Billings area. As a child growing up in Laurel, Montana I always loved the stars, and that love developed into a desire to work for NASA. 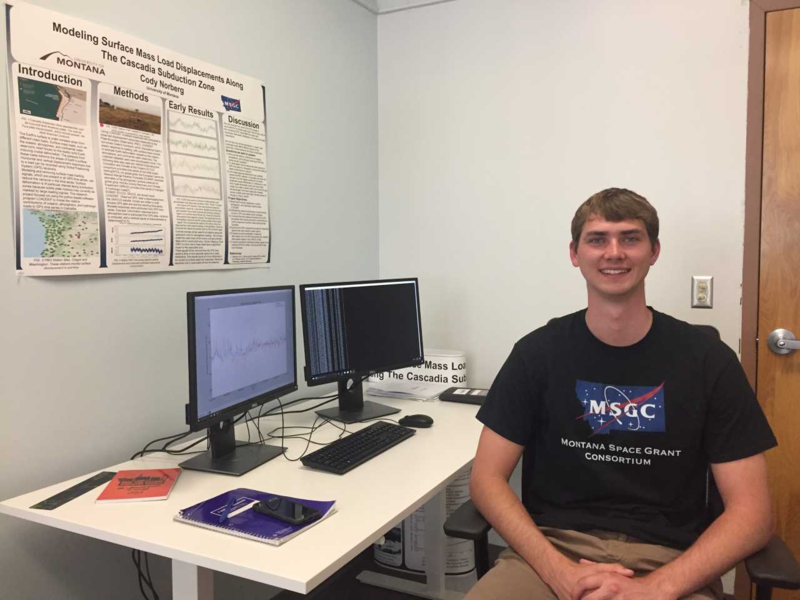 The MSGC has indirectly influenced me by helping our Rocky AGAR research team send a payload to the International Space Station (2014-2016), and inspired me to apply and obtain an internship with the Veggie team at NASA Kennedy Space Center in Florida, data mining and growing fresh crops for astronauts’ supplemental dietary needs (2017). My dreams have become reality, and the support, inspiration, and guidance of the MSGC has helped lead the way. Now I hope to obtain a masters at CU Boulder in Aerospace Engineering focus on Bioastronautics (life support systems), and then go for a PhD in Astrophysics at Arizona State University. Doing research to help better long duration space missions for NASA is my end goal. For as long as I can remember, I have been captivated by images of space. My goal is to combine my love of space science and my degree in Industrial Engineering to work in engineering management in the aerospace industry. My name is Romy Beigel and I am a student member of the Society of Women Engineers, the Institute of Industrial and Systems Engineers, Alpha Pi Mu, and the Industrial Engineering Honors society. By far, my favorite college extracurricular activity has been working with MSGC’s Space Public Outreach Team, as a presenter in 2016 and as assistant manager last year. 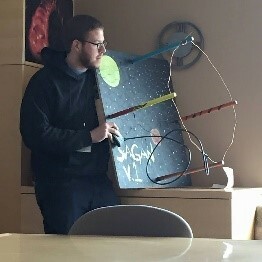 Currently, I work in the Space Science & Engineering Lab at MSU updating the IT-SPINS schedule as well as developing and running comprehensive tests after environmental testing. My name is Carter McIver, I am currently a Junior at MSU in the Mechanical Engineering program. I am originally from New York. I enjoy skiing and mountain biking in my free time. I worked this past year in the BOREALIS lab creating an instructional manual for setting up and operating the ground station. I also, worked on designing and prototyping cases for a few electronics. This summer I will continue to work on designing new parts and maintaining our system for the full solar eclipse launch. I am a junior at University of Montana Western studying mathematics and business. Montana Space Grant Consortium (MSGC) opened many doors for me in my educational and professional career and provided funding for my summer 2017 internship. 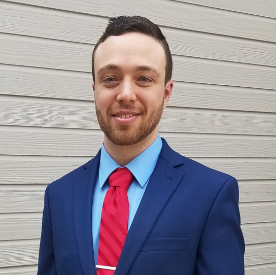 During the summer of 2017, I was the engineering development program evaluation data analysis intern for the Engineering Directorate at Goddard Space Flight Center in Greenbelt, Maryland where I developed MATLAB functions to analyze participant response data from two in-house technical training programs. The MATLAB functions illustrated program findings using box plots, bar graphs, and heat maps in a fraction of the time required previously. Because of the speed of analysis, the evaluator was able to make program recommendations faster. This increased efficiency and allowed the developmental team to respond to the evaluator’s recommendations more quickly, often before the next training so that more of the expected outcomes could be met. At the end of my summer internship, I was offered an opportunity to continue working with my team at NASA Goddard. I would not have this opportunity without being a member of MSGC. 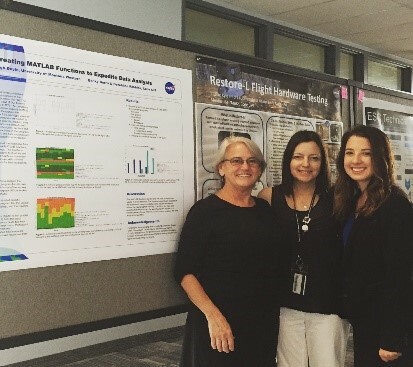 The picture is me and my mentors from Goddard at the summer intern poster session. The far left in all black is Geraldine Robbins, the middle is Becky Derro, and the far right is Baleigh Doyle. I am originally from Florida and spent 5 years in the Marine Corps which took me to California, North Carolina, Afghanistan and back. After the military I decided I wanted even more of a challenge so I decided to come to the University of Montana (GO GRIZ!) and major in physics. 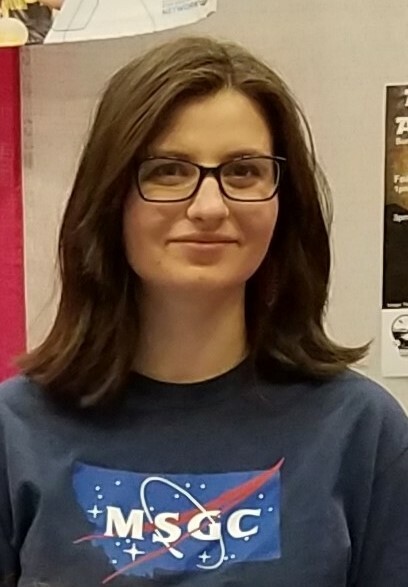 I am currently researching atomic physics and radio astronomy (personal research) as well as assisting with observational labs for astronomy classes and doing public outreach through MSGC's Space Public Outreach Team. MSGC has been a well placed stepping stone for me because it has given me a chance to present to the public about space and wonders it holds. I'd have to say my best experience so far as a SPOT presenter was getting the chance to present for two nights in Yellowstone National Park to not only Montana residents, but to people around the world. My future goals are always up in the air, but I would like to head to grad school and study particle and atomic physics or do work with lasers, but I have plenty of time to think about it.